Lisa loves book clubs and is grateful to those who choose her books. As a way to honor and thank book clubs who read her, Lisa has created a special Book Club Party. Watch a Video about the 2018 Book Club Party! 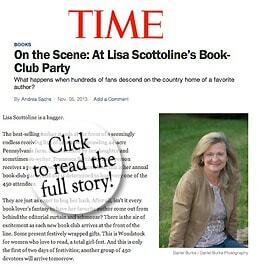 TIME Magazine Features Lisa’s Annual Big Book Club Party! Plan Ahead for the 2019 Book Club Party! 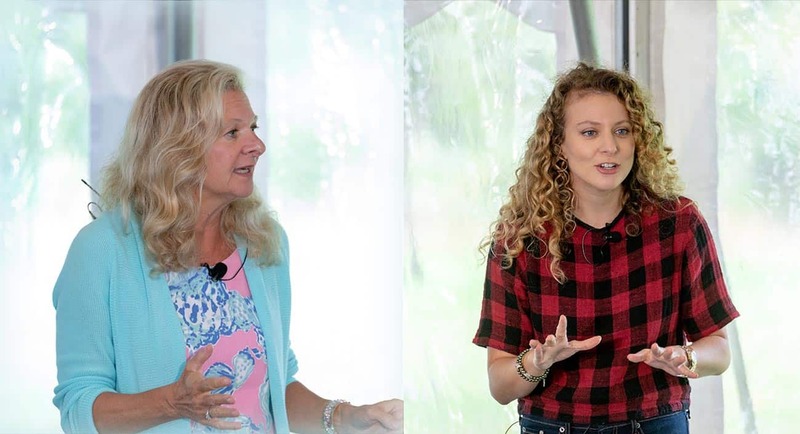 Book clubs that read Someone Knows are eligible for the opportunity to join Lisa and Francesca at their home for the 14th Annual Big Book Club Party on either October 5, 2019 or October 6, 2019. This event has become so popular that it now takes place over two days, and book clubs are invited to attend based on the order entries are received. If your book club would like to enter for an invitation to Lisa and Francesca’s 14th Annual Book Club Party, be sure to put Someone Knows on your Spring book club reading list. You must follow the rules in order to be eligible. Take a picture of your book club with each member holding a copy of Someone Knows in hardcover, on audio, or on an e-reader. Be sure to include a working email address and phone number with the entry. Send the picture to bookclubs@scottoline.com. Entry must be emailed by June 30, 2019. You will receive an email confirmation that your entry was received and accepted.